After all, a trip to Nepal would be incomplete without truly understanding what really makes it beautiful. The best times to catch a glimpse of the sparkling peaks are the months of winter from September to April. This is the time when the white snow sparkles brightly upon the mountains, with lakes and glaciers equally beaming with clear water flowing down from the Himalayas. Nothing compares to the sheer beauty or awe the Himalayas has to offer. 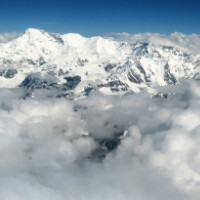 Take the mother of all mountain flights, the Everest Experience where we put you, one on one with Mt. Everest, so close that you can almost touch it. 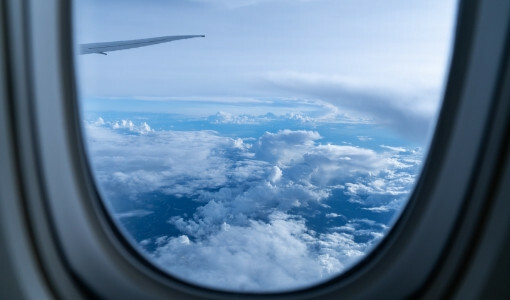 The flight usually lasts between 50 minutes up to an hour. The planes take off either from TIA, Kathmandu. 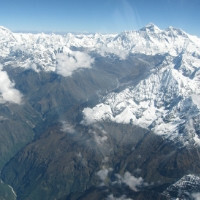 During the flight, you will catch a glimpse of 20 of the highest peaks to the East of Nepal starting from the Langtang Lirung peak which is the closest peak to Kathmandu, then move towards Mt. Everest in the East and finally fly to Chamlang peak. From there, the plane takes a turn and the passengers get a second look at the view while they make their way back to Kathmandu. The mountain flight not only allows you to enjoy fantastic views but also helps you to understand the geography of Nepal. Although mountain flights do not have a long history, it has gained popularity among tourists for the beauty that it promises. 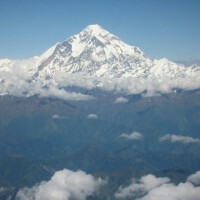 Buddha Air provides mountain flights every day, early in the mornings, when the Himalayas views are the best! While on board, you will receive a 'Himalayan Peaks' map from our flight attendant. This map contains information about the different peaks you will see during the mountain flight. You will also get a briefing from our flight attendant of the visible mountains. You will see stunningly beautiful mountains that are above 8000 meters such as Cho-Oyu, Shisha Pangma, Mt. 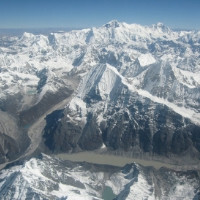 Everest and Lhotse from a guaranteed window seat on the aircraft. To commemorate your once-in-a-lifetime experience to the top of the world, we give out a personalized Everest Experience certificate to each passenger after the completion of the flight. Our travel subsidiary, Buddha Holidays Pvt. 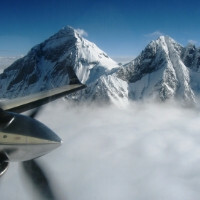 Ltd. also has Everest Experience mountain flight as an optional add-on to its itineraries. If you choose to add this splendid flight to your itinerary, Buddha Holidays will provide transport facility between your hotel and the airport. "Booked through Intrepid Urban Adventures. It’s an early start for this experience with a 5 am pick up from my hotel. Just 16 people max on the flight in a small aircraft and everyone gets a window seat. The views of the Himalayas were amazing and they let everyone up to the cockpit to take photos, but we got some great ones out of our windows too. It cost about $200 USD but it was worth every penny!" 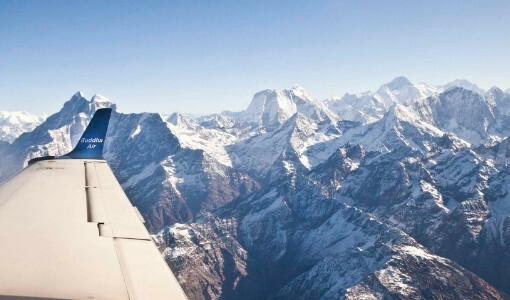 "This was the most amazing flight, the views were absolutely stunning. The cabin crew were really helpful and were pointing out the different peaks and their names. The crew informed us that you could see Everest from the cockpit and ushered us in one by one to see the most amazing view of Everest with the sun rising behind it." "The Buddha Air mountain flight is a once in a lifetime, not to be missed experience for anyone visiting Kathmandu. 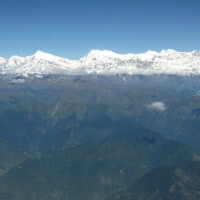 All passengers get a window seat.. so that you can be mesmerized by the majesty and grandeur of the Himalayan ranges. The wonderful air hostesses come to each passenger, pointing out the peaks and their names, for you identify. Nearing mount Everest, one by one each passenger is invited into the cockpit where the Captain points out Everest, Lhotse and Nuptse peaks to you. You can click photographs and then return to your seat. It is a sheer breathtaking experience of witnessing the highest mountain peak in the world from so close. I got quite a few photographs, as the weather was crystal clear. On the whole a "not to be missed" experience. And on deplaning, you get a "certificate" from Buddha Air...to take back as a small token." Our aircrafts have all the modern avionics, instruments and airframe that are in a modern jetliner. The Beechcraft 1900D is the chosen 19-seater aircraft of the American Aircraft Pilot's Association. 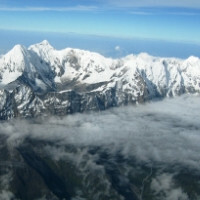 Our pilots are well experienced and have flown thousands of mountain flights. We currently operate mountain flights with a fleet of ATR 72-500, ATR 42-320 and Beechcraft 1900D aircrafts. The number of seats available with ATR 42-300 is 24 while on the ATR-72-500, it is 36 seats. Buddha Air is proud to present its fleet of third generation Beech 1900 D aircraft which has been recognised to have the record of best mountain flight in the world. 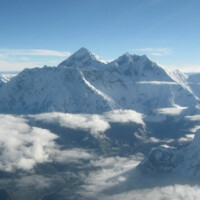 The mountain flight that takes you to the landmark of the kingdom, Mount Everest. 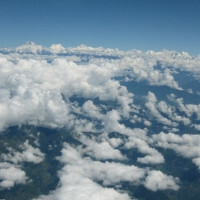 The daily 1 hour long mountain flight operated by Buddha Air takes you to the top of the world and back to Kathmandu. Fly to the altitude of almost 25,000 ft. with Buddha Air.